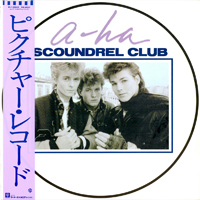 This Japanese only mini album has cover similar to "Manhattan Skyline", the back cover has, in large blue letters, part of the word "Scoundrel". 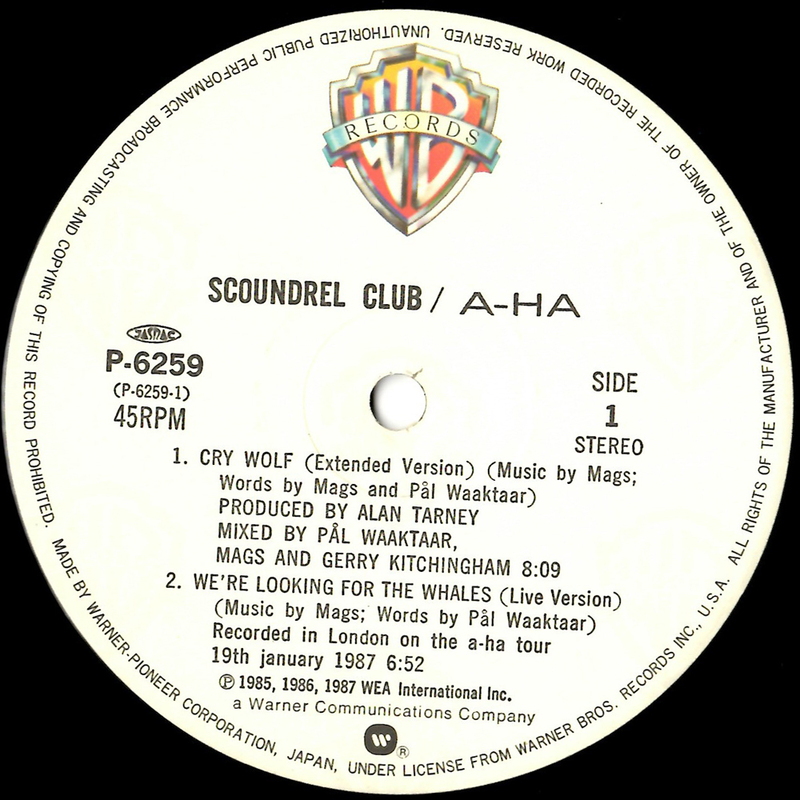 The regular vinyl EP of "Scoundrel Club" has one less track ("I've Been Losing You" (Dub)) compared with the CD edition. 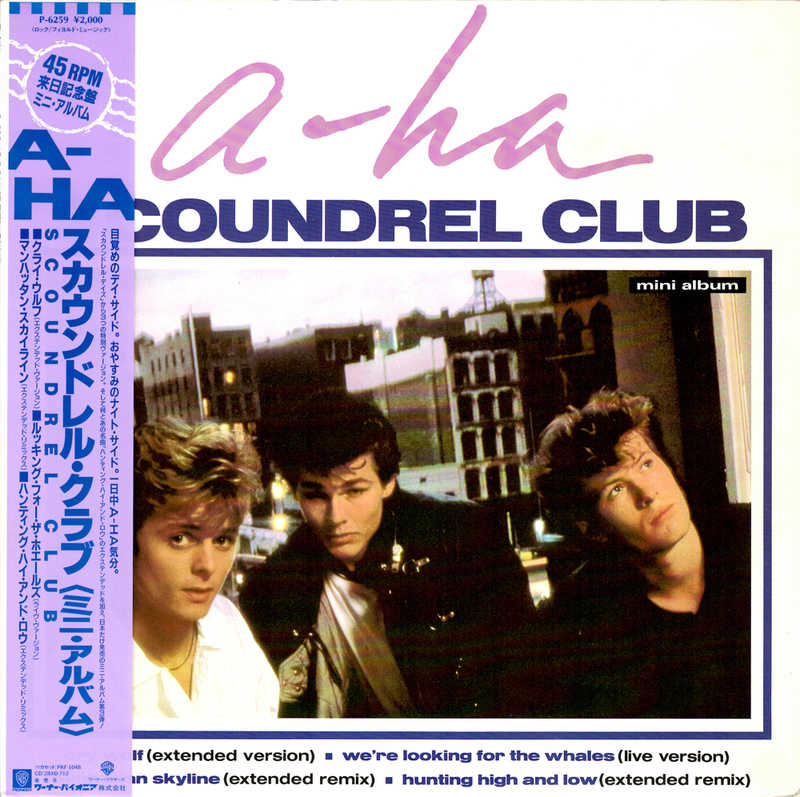 It comes with obi strip and paper lyric insert. 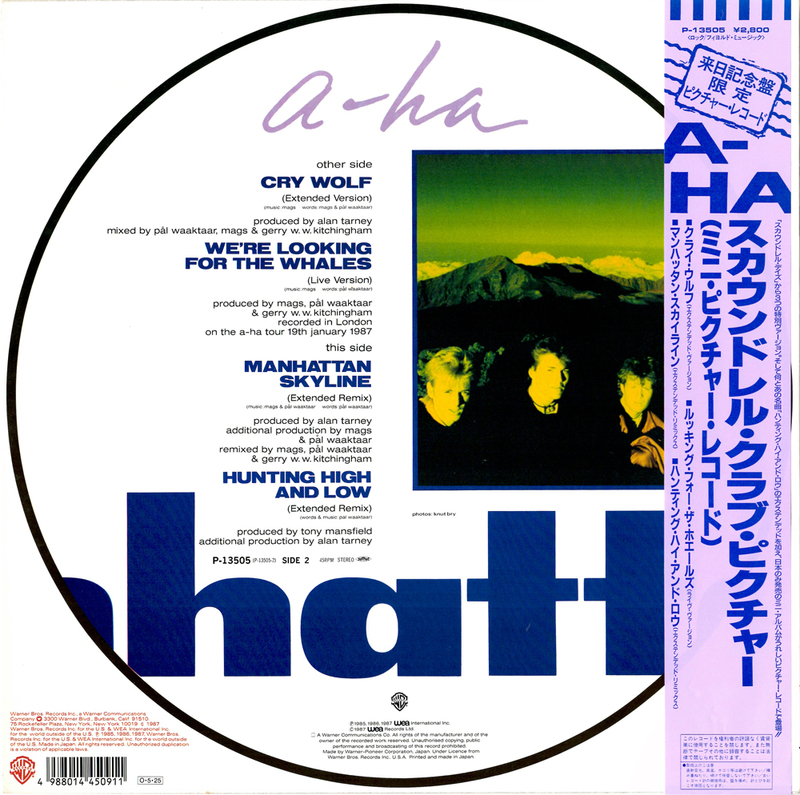 The obi is light purple with blue titles plus four small shots of the previously released albums on the reverse. 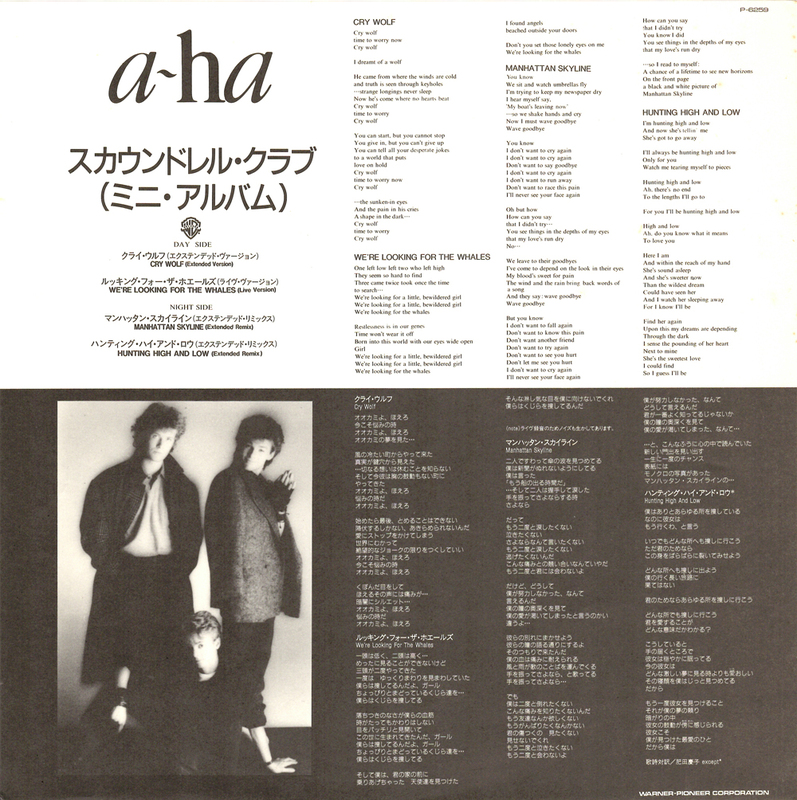 The insert is white at the top, black at the bottom with lyrics in black at the top plus a black and white band shot and additional Japanese text in white at the bottom. 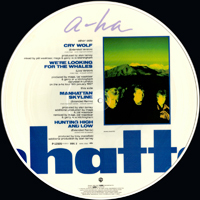 The disc labels are white with a coloured "WB Records" logo at the top and titles in black below. 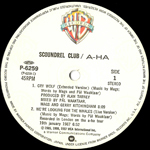 There is also a white label promo version of this EP which has the same catalogue number as the regular version, but has a sticker on the backsleeve with the number: F344119. 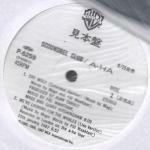 The disc labels are white with black titles and "WB Records" logo. 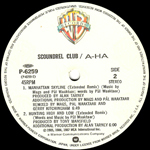 The "Scoundrel Club" 12" picture disc is similar to the picture disc for "Manhattan Skyline" but with a different title. 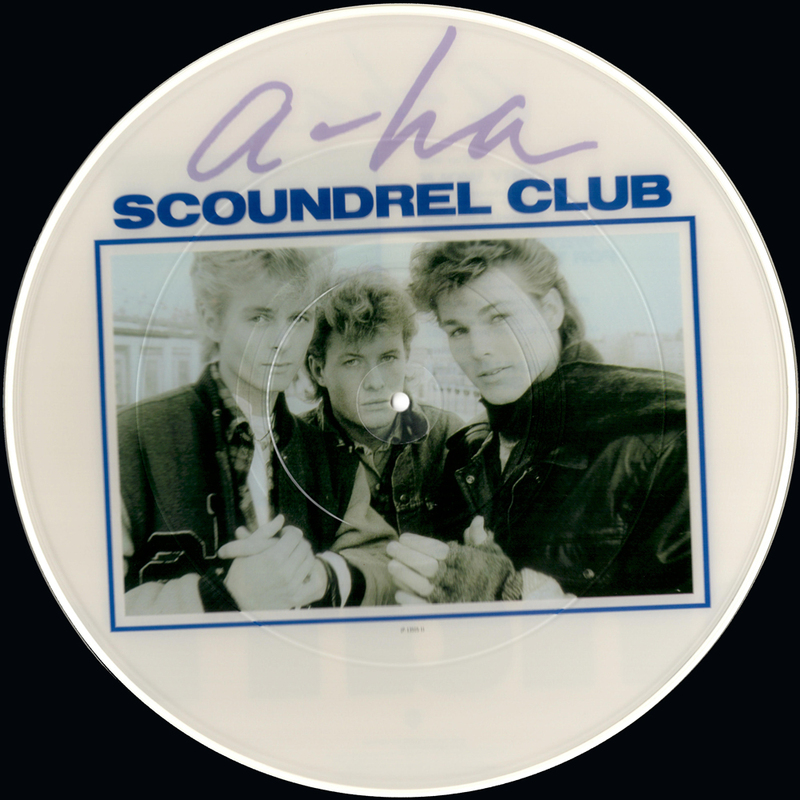 The sleeve features a picture of the disc on the cover. 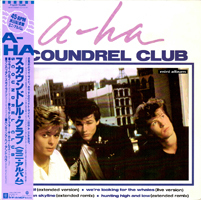 It comes with an obi-strip. The first pressing of the CD edition has an almost identical sleeve to the second pressing. 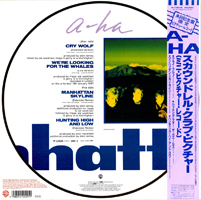 The obi strip of the first pressing is a paper one this time, but is white with a purple a-ha-logo and black text rather than the blue and white "Forever Young Series" obi of the second pressing. 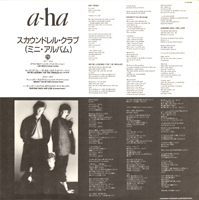 The CD insert is a 4 page booklet with lyrics, but no pictures. 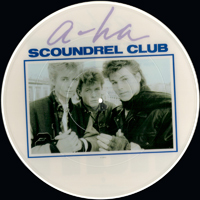 It is available on 12", 12" picture disc, CD and cassette. 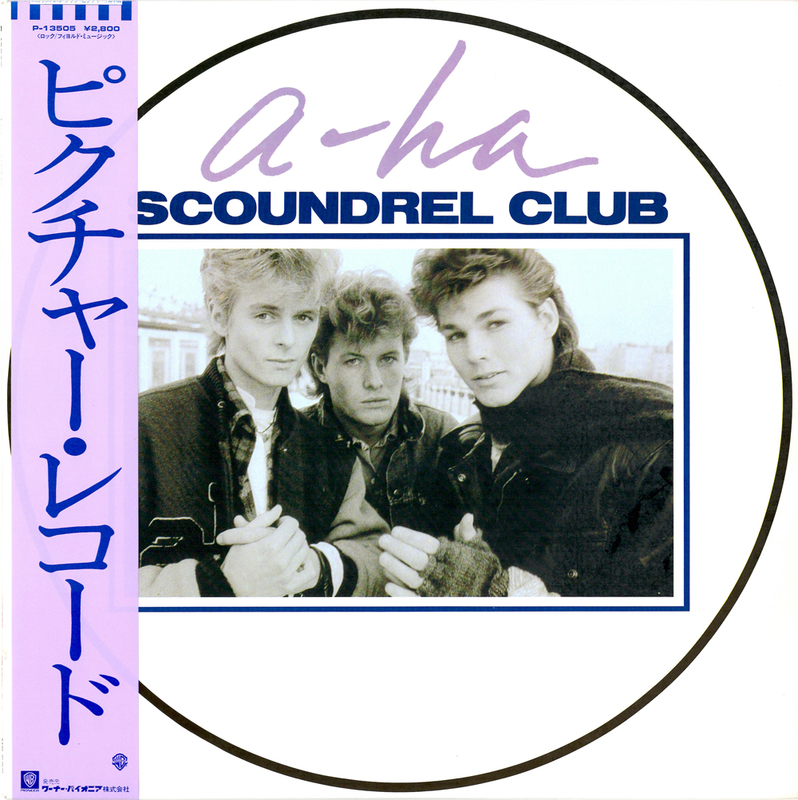 The reverse of the CD insert has a colour band photo on a white background with purple "a-ha" and blue "Scoundrel Club" logo. 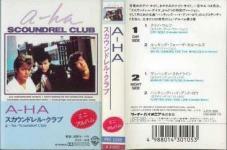 The CD is the same as the "Twelve Inch Club" CD, again with red "Reprise Records" logo. The CD edition includes the extended version of "Cry Wolf" (8:13), the live version of "We're Looking for The Whales" (3:50), the dub version of "I've Been Losing You" (4:28) plus the extended remixes of "Manhattan Skyline" (6:49) and "Hunting High And Low" (6:02). 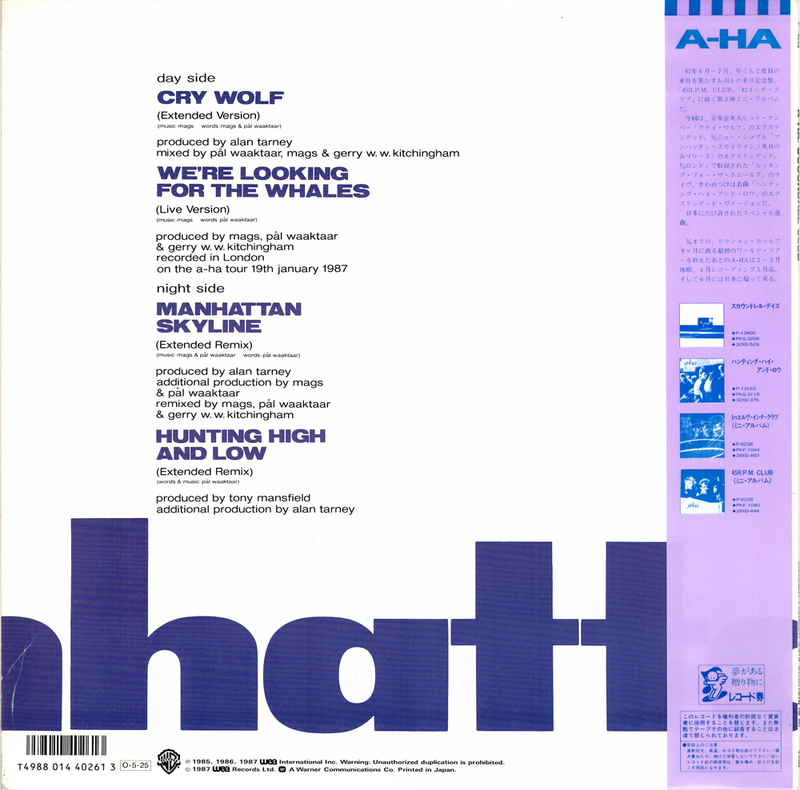 The cassette comes with a foldout lyric insert inside.